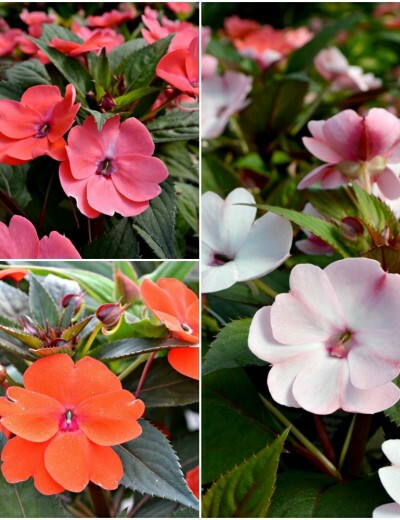 You're sure to love these hardy and easy to grow flowers as much as we do! 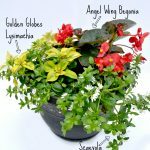 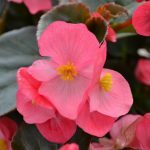 Begonias are excellent for creating container gardens or to add color along walkways with long bloom times from Spring until Fall. 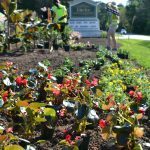 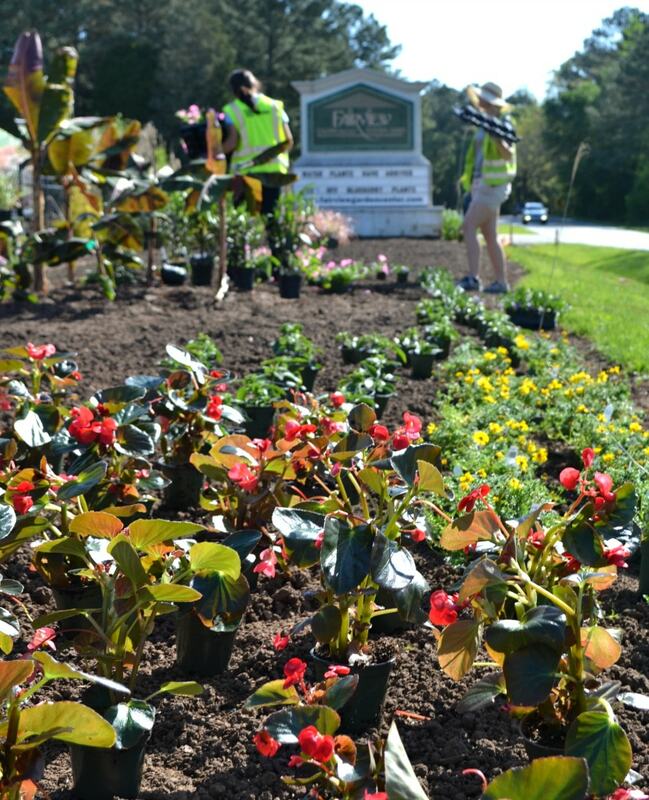 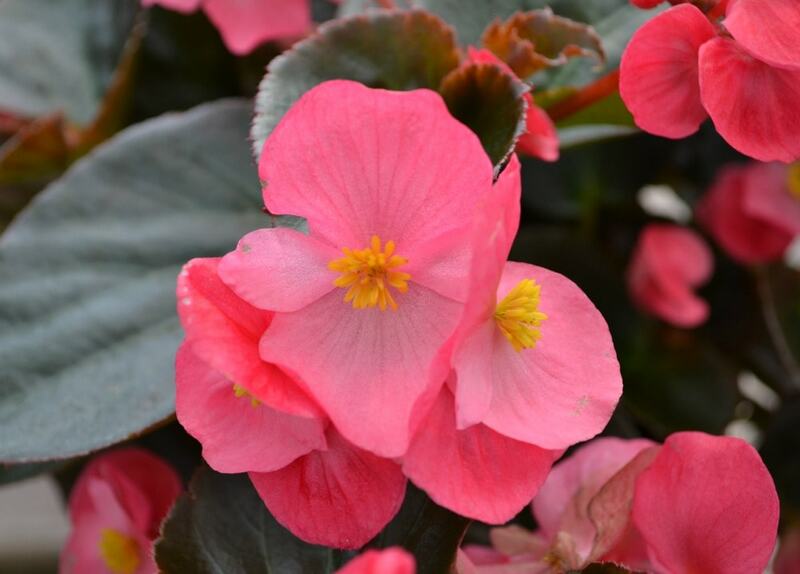 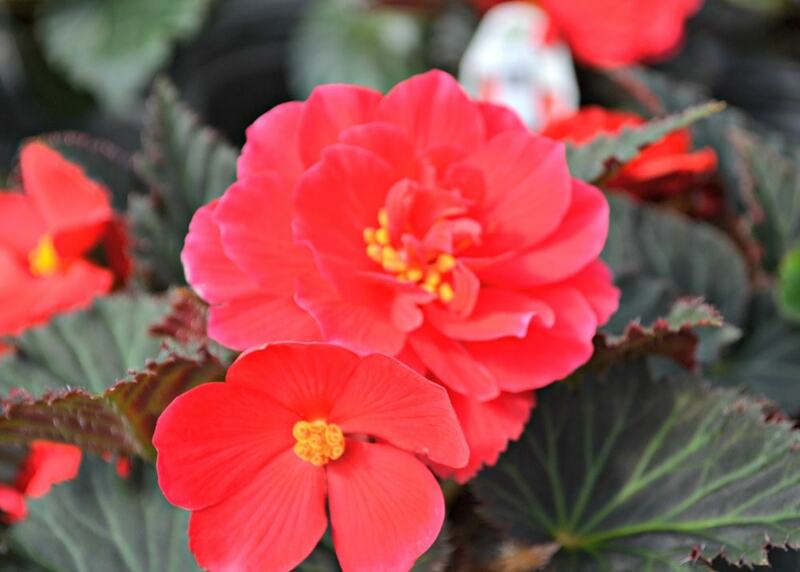 Come visit Fairview Garden Center today to pick out the perfect Begonias for your outdoor space! 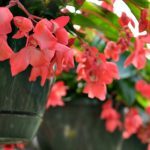 Dragon Wing:Highly popular, easy to grow, begonia is a true workhorse in both containers and gardens.Blooms spring through frost. 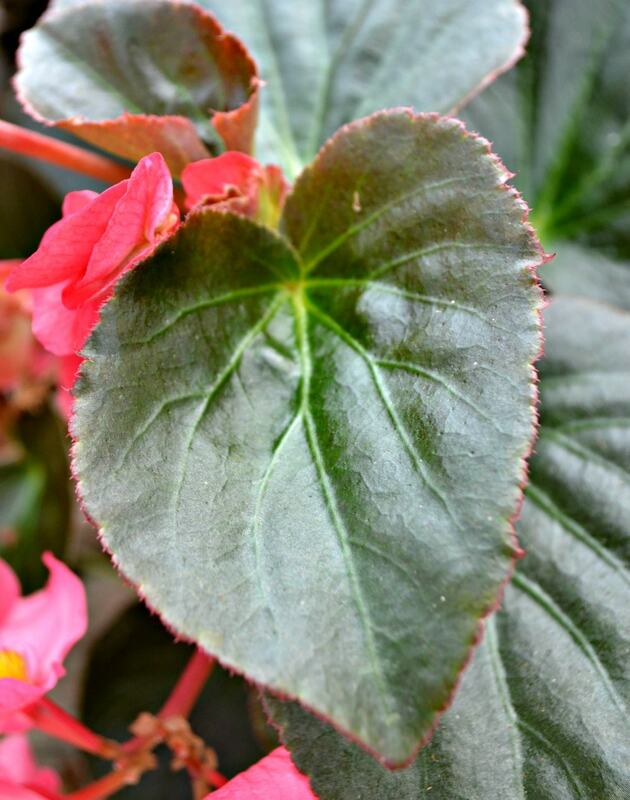 Angel Wing: Leaves are shaped like angel’s wings and have distinct veins and spots. 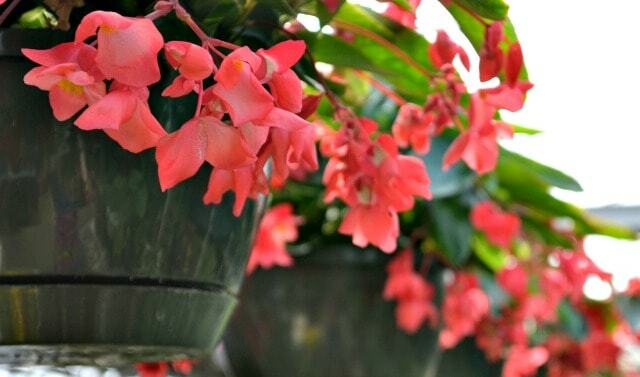 Blooms profusely all season with cascading pink or red flowers. 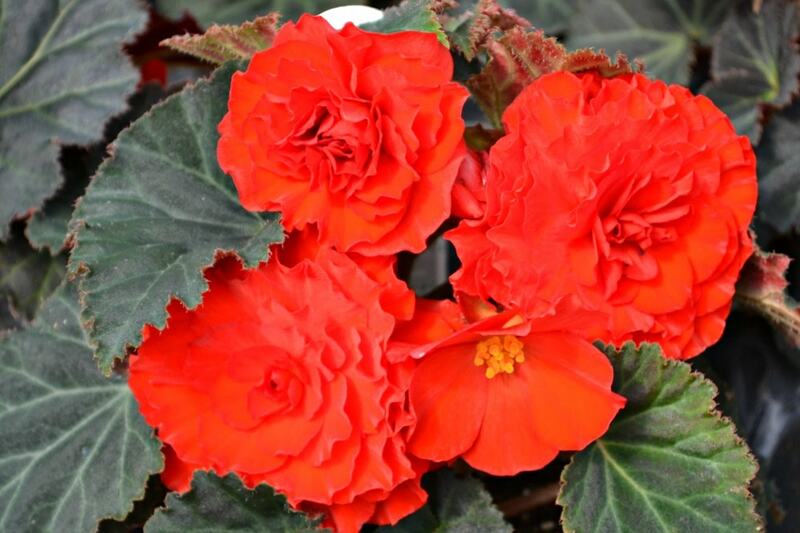 Big Rose: This huge begonia has eye catching, shiny foliage that makes a statement in any garden. 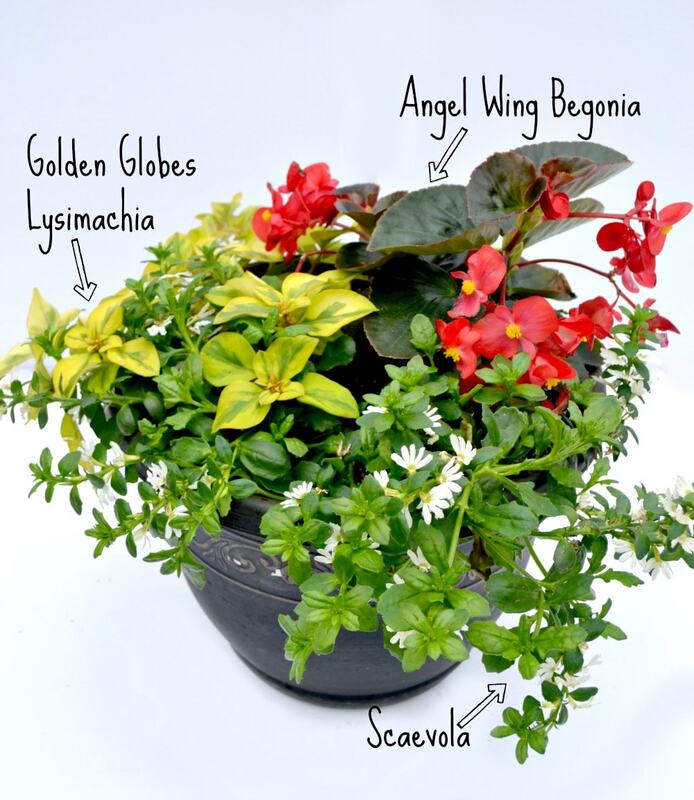 Grows quickly and requires minimal maintenance. 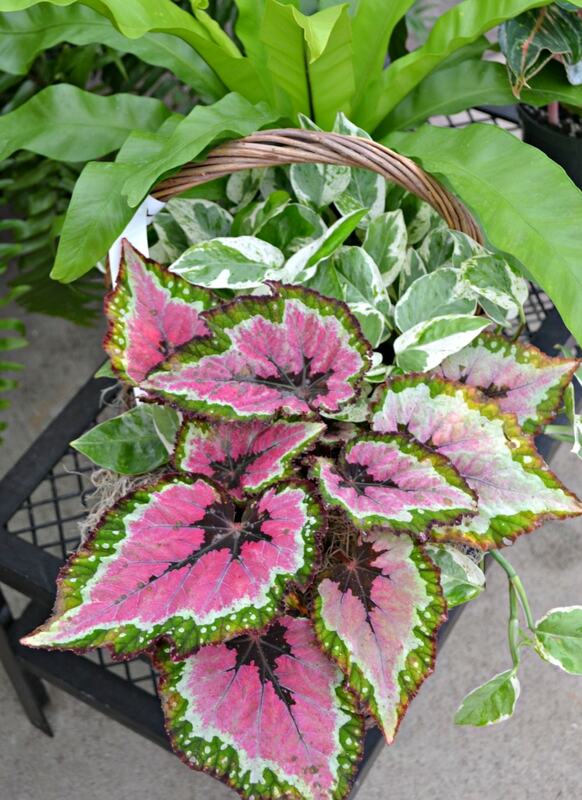 Charm: Beautiful pink flowers pop against this brilliantly variegated foliage. 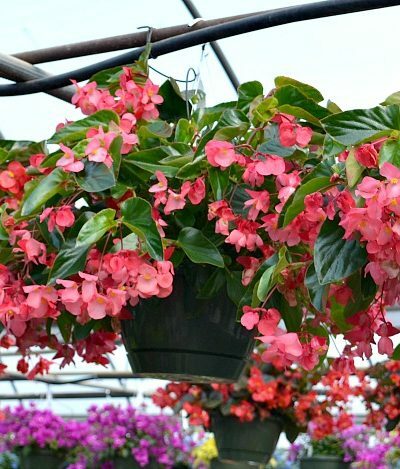 This old fashioned begonia is a very popular, hardy variety. 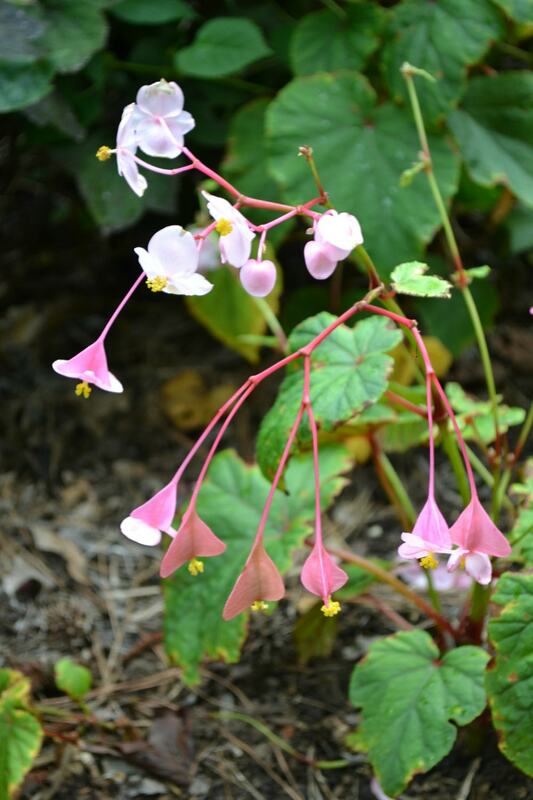 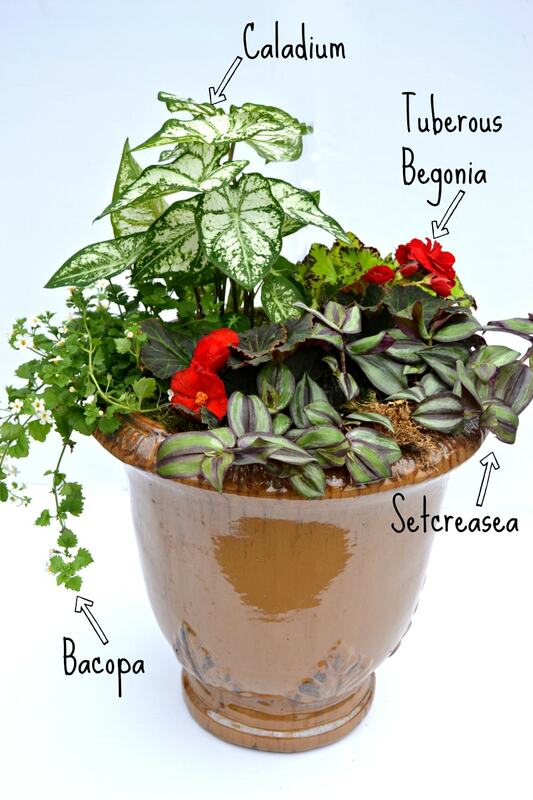 Rex Begonia: Can be grown indoors as a houseplant or outdoors in the spring and summer in a shady garden spot. 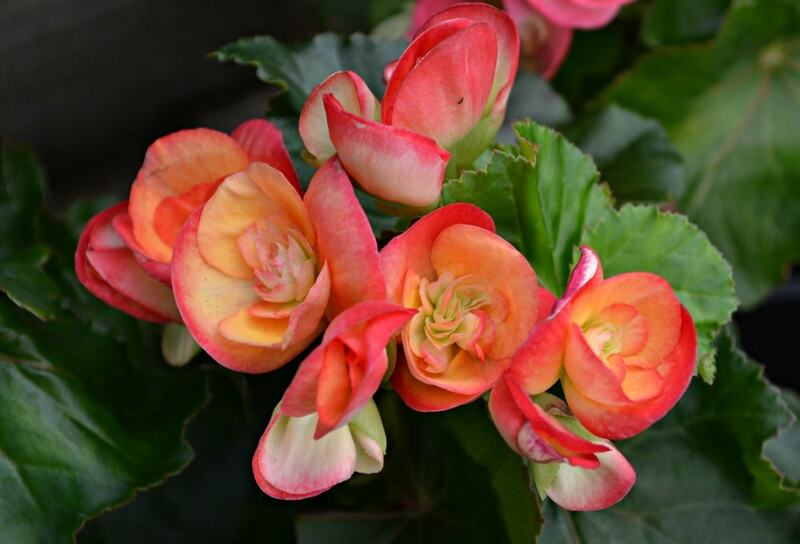 Begonias are grown for their unique foliage, colorful textures, and patterns. 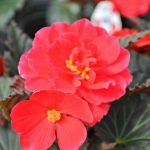 Rex begonias like bright light indoors and high humidity. 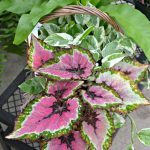 They do not like to stay wet, but keep moist to dry. 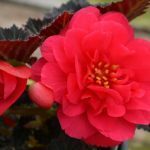 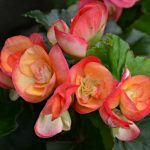 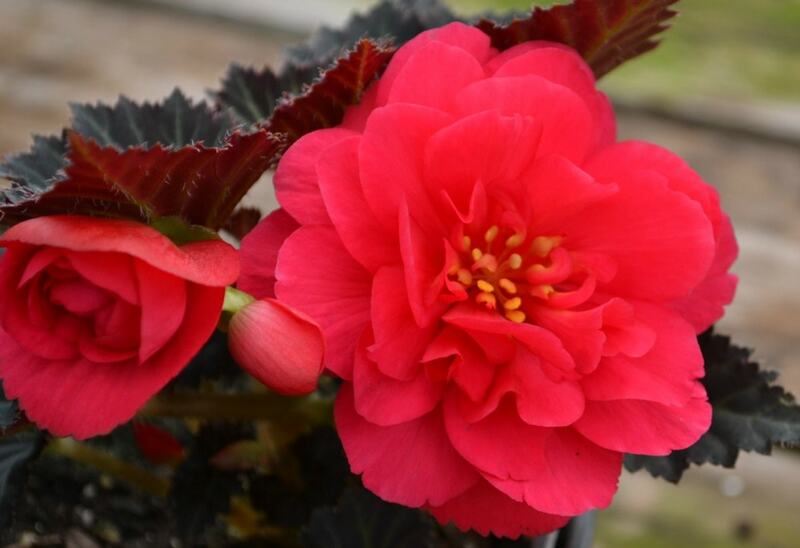 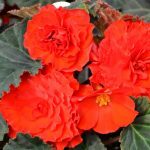 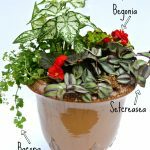 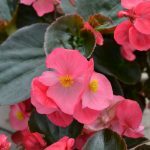 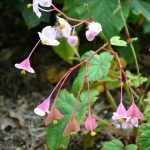 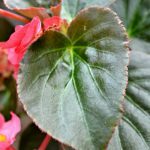 Tuberous Begonia: Showy flowering houseplant that blooms continuously in the right conditions for up to 6 months then will rebloom for 6 months after a short rest period. 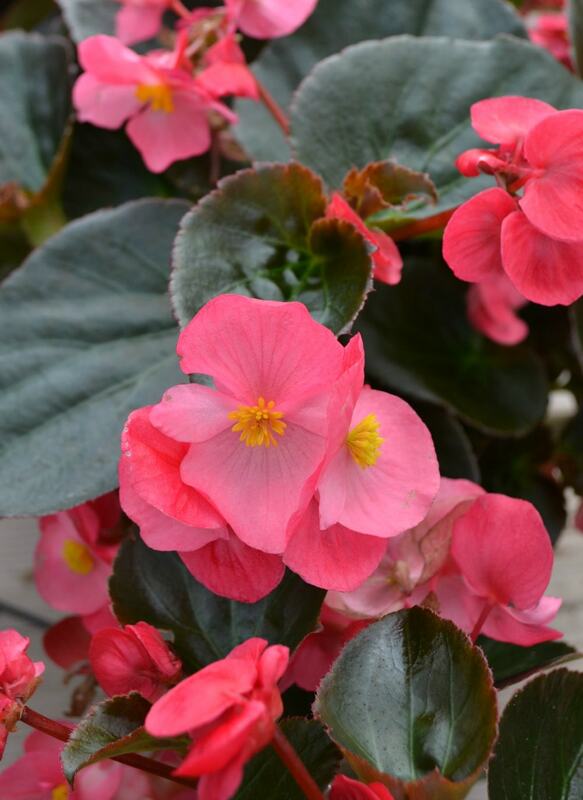 Can be planted outdoors in spring and summer in semi-shady conditions.